What a great interpretation of the pumpkin! I think that BIG works well! LOVE it...great job with the challenge!! 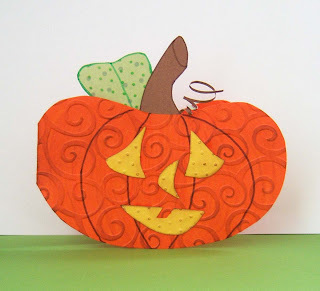 I love that you created a whole card with the pumpkin face - and the result is fabulous!